President Trump on Wednesday morning announced that he will nominate Christopher A. Wray as new head of the FBI. Trump just weeks ago fired James Comey, the former director, in a controversial move. Trump tweeted on Wednesday, “I will be nominating Christopher A. Wray, a man of impeccable credentials, to be the new Director of the FBI. Details to follow.” Wray served as New Jersey Gov. Chris Christie’s personal lawyer during the Bridgegate scandal. 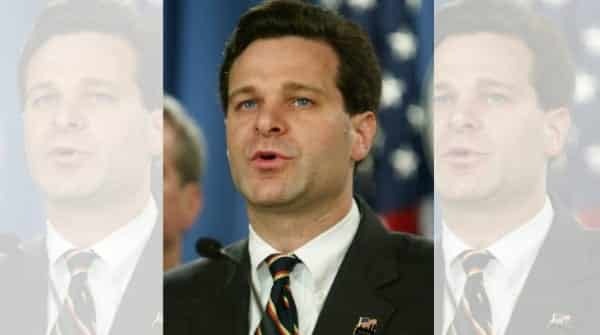 Prior to that, Wray was an assistant attorney general in charge of the Department of Justice’s Criminal Division from 2003 to 2005, and focused on financial crimes, including serving as point man on the Enron Task Force after that energy company’s massive fraud triggered a market meltdown. He also was an assistant U.S. Attorney for the Northern District of Georgia during the Clinton administration. Since 2005, he has been a litigation partner at King & Spalding. This entry was posted on June 7th 2017 at 8:55am/08:55 and is filed under Elections, Live News Column 2, Politics. You can follow any responses to this entry through the RSS 2.0 feed.